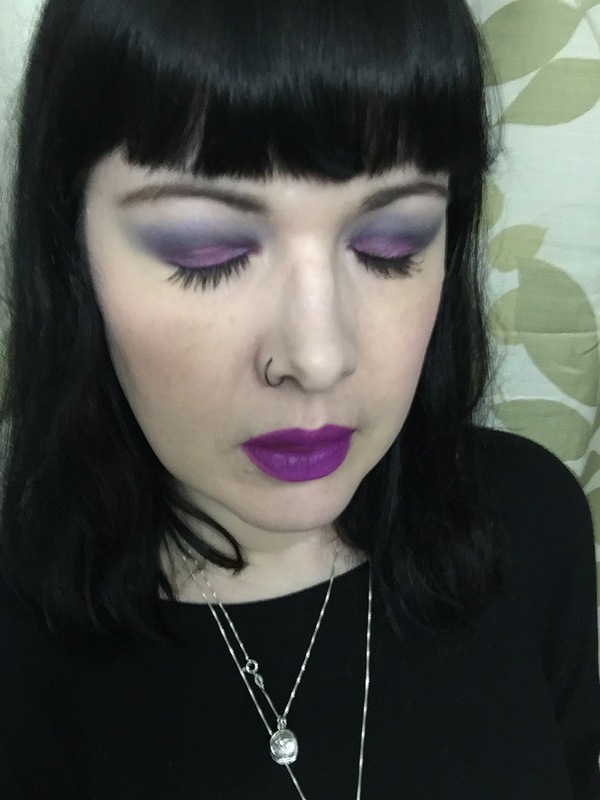 I’ve been playing with the UD Vice 4 palette and today I tried a shade I had yet to wear, but have totally been intrigued by because of the name – 1985! This is a great fuscia shimmer shadow that looks amazing with Beatdown, the shade I have above it in the crease. I wore MAC Vellum as the highlight, a funky white duochrome that reflects blue and pink. The lipstick is Maybelline Creamy Matte in Vibrant Violet. Boy, they ain’t kidding about vibrant! 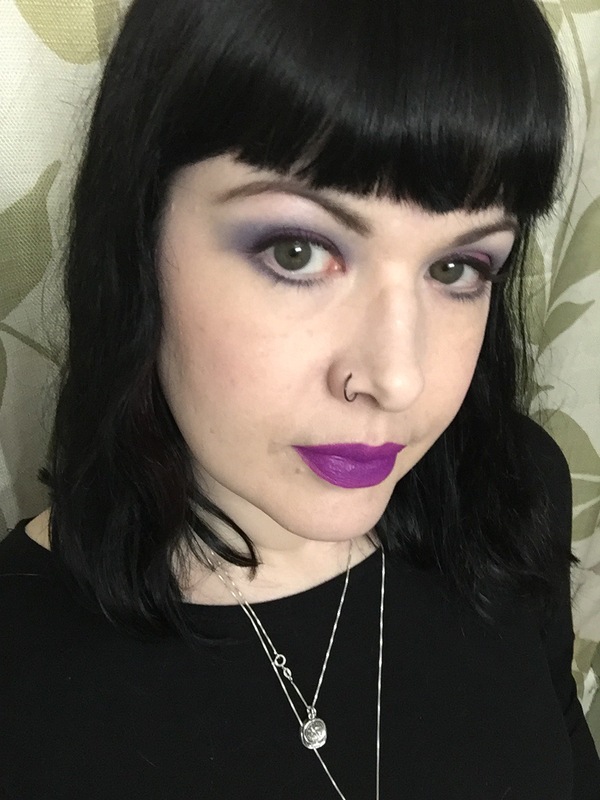 So, there’s my “cabin fever makeup” as we are still somewhat snowed in here in the Southeastern US. I hope you enjoyed it! This entry was posted in beauty, beauty blog, beauty blogger, Eyes, Eyeshadow, Lips, Lipstick, Makeup, Makeup of the Day and tagged beauty, beauty blog, bright makeup, FOTD, mac cosmetics, mac eyeshadow, makeup, makeup blog, makeup of the day, maybelline, purple eyeshadow, purple lipstick, urban decay, vice 4 by Rachel. Bookmark the permalink. Hi Rachel, gorgeous eyes and those shades really pop them too. Must take a peek a peek around your blog when i get some spare time. Thanks so much!! As you know, when you have a chronic disease like FM, makeup/self care can be a huge pick me up…these colors are really fun!